Links to surveys on Task Force Proposal #4 can be found on the boundary adjustments page. Parents, students, school neighbors and community members are invited to attend a Boundary Review Task Force Listening Session on Dec. 4 to share feedback on possible school attendance area boundary adjustments. Boundary adjustments are needed to relieve overcrowding and put to use the new spaces being built in the 2018 bond program. 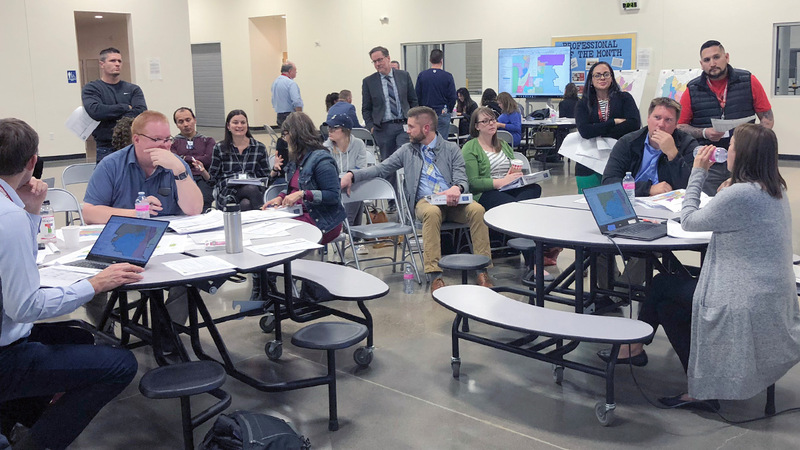 During the boundary review process, all school attendance area boundaries in the Salem-Keizer School District are being reviewed, however not all boundaries will need to be adjusted. A Boundary Review Task Force made up of community volunteers has been reviewing boundaries and proposing adjustments since early October. The goal of the Task Force is to create a recommendation for the Superintendent for adjusted boundaries that balances school enrollments across the district, prepares schools for future growth, and identifies implications for the 2018 bond program. Areas of focus will be Keizer/McNary and West Salem schools, most notably: Claggett Creek and Whiteaker middle schools; Clear Lake, Cummings, Forest Ridge, Gubser, Kalapuya, Keizer, Kennedy, Myers and Weddle elementary schools. Areas of focus will be North Salem/McKay area schools, most notably: Houck Middle School; Auburn, Chávez, Eyre, Four Corners, Hammond, Hayesville, Lamb, Miller, Swegle and Yoshikai elementary schools. Areas of focus will be McKay/North Salem area schools, most notably: North Salem High School; Parrish Middle School; Hallman, Hoover and Washington elementary schools. Areas of focus will be South/Sprague area schools, most notably: South Salem and Sprague high schools; Bush, Battle Creek, Candalaria, Lee, Liberty, McKinley, Morningside, Salem Heights and Schirle elementary schools. Parents and community members from all school neighborhoods are welcome to attend; attendance is not limited to residents of the school neighborhoods listed. The presentations at Four Corners and Waldo will be co-presented in English and Spanish. Additionally, Spanish interpreters will be available at all locations. Childcare and snacks will be provided. Please contact SKPS at (503) 399-3290 for other accommodations, such as ASL interpretation, at least 24 hours in advance of the meeting. Familias del distrito escolar de Salem-Keizer, el próximo 4 de diciembre se llevarán a cabo sesiónes informativas para la comunidad acerca de los ajustes de límites a las escuelas del distrito. Sus hijos podrían ser asignados a diferentes escuelas el próximo año, dependiendo de donde usted vive. Su asistencia es importante, tendrá la oportunidad de expresar su opinión sobre los ajustes de límites escolares con los miembros del grupo de trabajo. Se proporcionarán bocadillos y cuidado de niños. Tendremos interpretes disponibles en español. SESIÓNES INFORMATIVAS 4 de dec., 6 a 8 p.m.
Las áreas de enfoque serán en las escuelas de Keizer y West Salem, en particular: las escuelas intermedias Claggett Creek y Whiteaker; escuelas primarias de Clear Lake, Cummings, Forest Ridge, Gubser, Keizer, Kennedy y Weddle. Las áreas de enfoque serán las escuelas del área de North Salem/McKay, en particular: Esquela Intermedia Houck; escuelas primarias de Auburn, Chávez, Eyre, Four Corners, Hammond, Hayesville, Lamb, Miller, Swegle y Yoshikai. Las áreas de enfoque serán las escuelas del área McKay/North Salem, en particular: Esquela Preparatoria North Salem; Escuela Intermedia Parrish; escuelas primarias Hallman, Hoover y Washington. Las áreas de enfoque serán las escuelas del área South/Sprague, en particular: las escuelas preparatorias South Salem y Sprague; escuelas primarias de Bush, Candalaria, Lee, Liberty, McKinley, Morningside, Salem Heights y Schirle. Expresar su opinión sobre los ajustes de límites escolares con los miembros del grupo de trabajo. Buses were rolling this morning carrying almost half of Salem-Keizer Public Schools’ (SKPS) 42,000 students, but with the back-to-school excitement was another message: “Every Day 24J!” Nearly one in three students in SKPS is chronically absent, and this year, schools and community organizations are collaborating to identify barriers to attendance and develop solutions. The campaign officially launched at Auburn Elementary, where Principal Katie Shumway identified the shift in weather as one of the contributing factors to absenteeism. Auburn is a neighborhood school, and many of its 700 students live within the one-mile radius of the school, meaning they don’t have access school bus transportation. Through the work of the Every Day 24J committee, One Thousand Soles was able to purchase 50 pairs of rain boots at a reduced cost from Wilco. Students who attended the school’s back-to-school picnic received raffle tickets, and winners will be announced at the school on Mondays and Fridays – the days the school has the lowest attendance. Auburn is just one example of the purpose of Every Day 24J! – to identify barriers, create solutions and encourage positive behaviors. Additional community organizations have come forward to help provide rain gear for more students. Students who miss just two days of school a month will miss a month of school each year. If a student continues that pattern through elementary and middle school, he or she will have lost an entire year of instruction by ninth grade. According to the Oregon Department of Education, students who attend school regularly are 172 percent more likely to graduate. The Every Day 24J committee comprised of district staff and community members will continue to meet throughout the year to identify benchmarks for success and develop additional solutions to remove barriers for attendance. 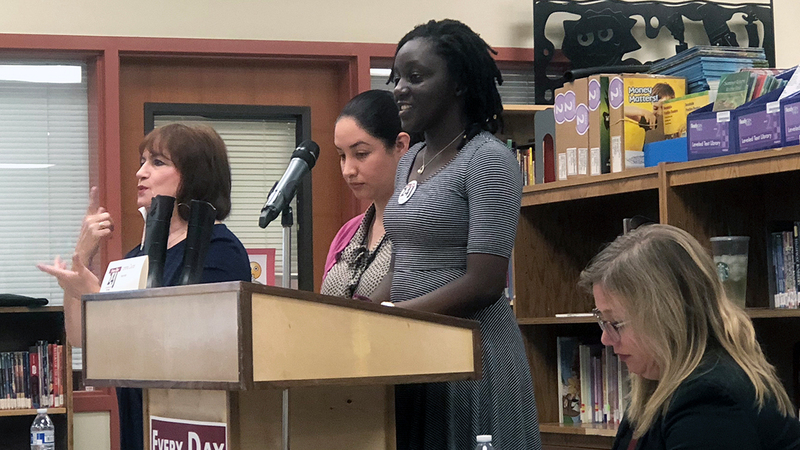 Through a grant from Kaiser Permanente, the Salem/Keizer Coalition for Equality is simultaneously developing attendance supports for families in the North Salem High feeder system. For more information on how to support the campaign, please contact Community Relations and Communications at (503) 399-3038 or by emailing info@salkeiz.k12.or.us.